As a fairly dedicated backyard birder and photographer myself, it is a little strange that I have not put this guide together before, but better late than never as they say! 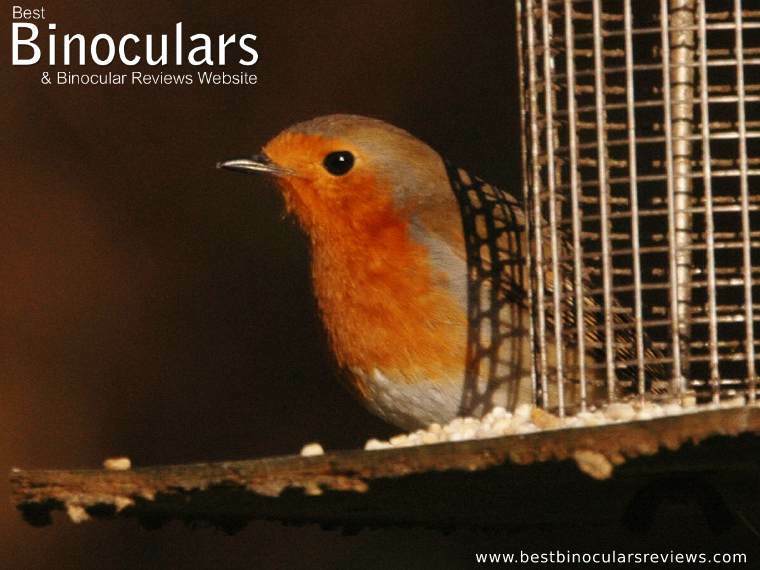 What has finally prompted me to do so is that recently I have been receiving more and more requests from readers wanting to know exactly which binocular for backyard birding they should get and if there are any specific differences or aspects to keep in mind that would make an ideal pair any different from standard wildlife or birding binoculars. So instead of answering each e-mail individually, I have decided to create a guide where I will take a look at exactly what features and specifications that I look out for and which would make the ideal / best binoculars for backyard birdwatching in a range of different price brackets and catering for different types of users. By different users, I am referring to how a pair of backyard binoculars may differ for say the elderly or at the opposite end of the scale, children as your garden is the ideal place for everyone get out the house and enjoy nature and the fresh air! As always I will also offer a few of my own recommendations by crosschecking these ideal factors against the instruments that I have both tested and reviewed. Whilst I try to keep the technical aspects as simple to understand as possible, in this guide I will assume that you have a basic understanding of binoculars. If not, you may want to first take a look at my Beginners Guide & What to look for in Binoculars, that goes through what the numbers mean etc and which will get you up-to-speed. I just want to be sure that you don't fall into the trap and make one of these biggest mistakes beginners make when choosing binoculars. Whilst almost anyone can go out into their garden and simply sit there enjoy the birds, indeed I do it often, so why do you need some good binoculars? Well the right/good pair will not only enhance the enjoyment of observing these little guys, but what you may have once just thought of as simply a LBJ (little brown job) may surprise you when viewed through bins as you may now notice colorful markings under the eyes or wings or tail section for example. In fact there is no doubting that a good pair of optics will most certainly help with your backyard bird identification. Obviously this depends on your interests, where your garden is, what type of garden you have and just how large it is. But pretty much everyone can also enjoy observing insects like butterflies and some may also be lucky enough to live more rurally and in which case they may be able to observe larger wildlife like squirrels, deer or foxes. Then from your garden at night, you can also view the stars and planets.. the list goes on. However for this guide, I will be focusing on garden birding, but also keeping in mind that it is occasionally nice to enjoy all these other things as well. So to start with binoculars good for the backyard garden need to be fairly versatile. I think it is also important to emphasize that almost any good quality binocular that is ideal for general wildlife and birding observation will be more than fine for use in your back garden. In fact most of the features that are beneficial for this particular niche of birding will overlap with that of their parent and much larger bird watching niche and so rather than repeating myself, I will be focusing my attention on the particular considerations where a backyard birdwatching binocular could differ or has a particular emphasis that you would not necessarily look for in general use birding binoculars. If you are an exclusive backyard birder and only plan on using your binoculars in your garden, then for the majority of users, size and weight will be of less importance than to those who go travelling or out on long birding walks. However this is not to say that you should not consider these aspects at all. A heavy instrument with large objective lenses has it's advantages, but they can get tiring to hold steady, especially over longer periods of observation. So my general advice and for most people would to probably stick with the tried, tested option of an 8x42 binocular or something close to this. This is a great option to cover all bases. Good in low light, not to big or heavy to take out with you and the 8x magnification strikes a good balance between image detail and field of view. If low light performance is specifically important to you then you are at an advantage by staying at home as you can get an instrument with larger objective lenses, which as well as being bigger are also usually heavier, but you don't have to worry about lugging it about. Here I would consider looking at an something like an 8x50 binocular. The larger 50mm objectives capture more light and deliver a large 6.25mm exit pupil for a brighter perceived image in bad light. 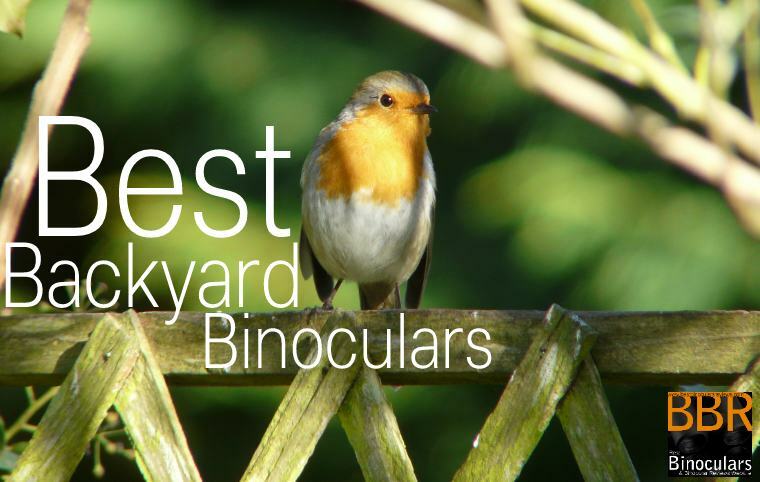 If you have a large or long garden and you would like to view birds from a fairly static point, like a patio, verandah or porch for example, then a good idea may be to opt for a slightly higher powered binocular. Unless you also happen to have views out over the ocean or fields, then I would not go to crazy here. So here I would go for a 10x50, or if you want even more reach, a 12x50 is a good bet. But this is where I would definitely suggest that you also get yourself a tripod to mount your binoculars onto. This is something that I do out of my backyard with great effect. Tip: For the steadiest views possible, you can also mount your less powerful binoculars onto a tripod. A large or even normal sized 42mm binocular may be to big and heavy some people, or you may just simply prefer to use a smaller more lightweight binocular. 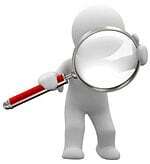 For example an older person may find holding up a full size binocular and keeping it steady just a little difficult. Those with small hands and children especially too will benefit from a smaller binocular. Here I would recommend keeping the magnification down as the worst combination in terms of ease of use, image quality and brightness is a high powered binocular with small objective lenses. So my advice would be a maximum of 10x (preferably 8x in most cases) and you can either go for a mid sized binocular with objectives of around 30mm to 32mm or a full compact binocular with even smaller objectives of around 26mm. Choices include: 10x32, 8x32, 10x26 or 8x26 and similar. For me one of the real pleasures and indeed the definite advantage of backyard birdwatching is that with things like bird feeders and the fact that they get used to us humans being about, you are usually able to get much closer to garden birds than their "wild" friends. Take that Robin for example that I have used as the main title image at the top of this page and in the image above. He would let me get really close to him and this meant that not only could I take great photographs, but when I didn't have my camera with me, I really would enjoy watching him through binoculars hopping about only a few meters away from me. At this distance, the incredible image detail that you get through a good quality pair of binoculars is something that if you have not seen before, I guarantee you will make you go "wow" the first time you do. Also worth noting that whilst it may not be your major passion, it is great to be able to observe from close range things like butterflies, bees and other insects on your garden flowers. So here I feel more than ever, an important feature of your backyard binoculars is to make sure you get a pair with a good to excellent minimum focus distance. This distance will vary depend on what size and magnification you go for. So here if you choose a high powered device, chances are their close focus distance will be quite a bit longer than a low powered compact binocular. For an 8x42 binocular I class an excellent close focus distance as being 6ft (1.8m) or less. Please also note that it is in my experience, almost all manufacturers protect themselves by advertising their products as having a longer close focus than what they actually can achieve. 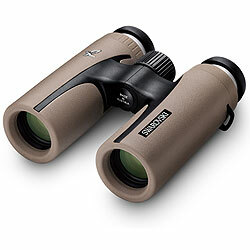 Whilst there are exceptions, for most backyard birders the ideal binocular will be a good to excellent general birding bin, but with an added emphasis on near focus distance and field of view and whilst still important, size and weight is not as critical. So now that we have considered the features that are particularly important in a backyard binocular (also keeping in mind the ones like field of view, coatings, image quality that we include from general bird watching), the last step is to establish how much you want or should spend. As is always the case with optics, my general advice is to get the best quality you can comfortably afford. If at all possible and apart from a few exceptions (see children's backyard binoculars below) I would urge you to stay away from extremely cheap binoculars (approx $30/£30 and under), this is because to produce a binocular at this cost, the manufacturer has to make many, many sacrifices and as such what they deliver is often little better than a toy and will in many cases just put you off using them for life. In these guides I explore and point out the main differences between cheap, mid range and expensive binoculars to discover just where the extra money goes when you buy a top of the range model. 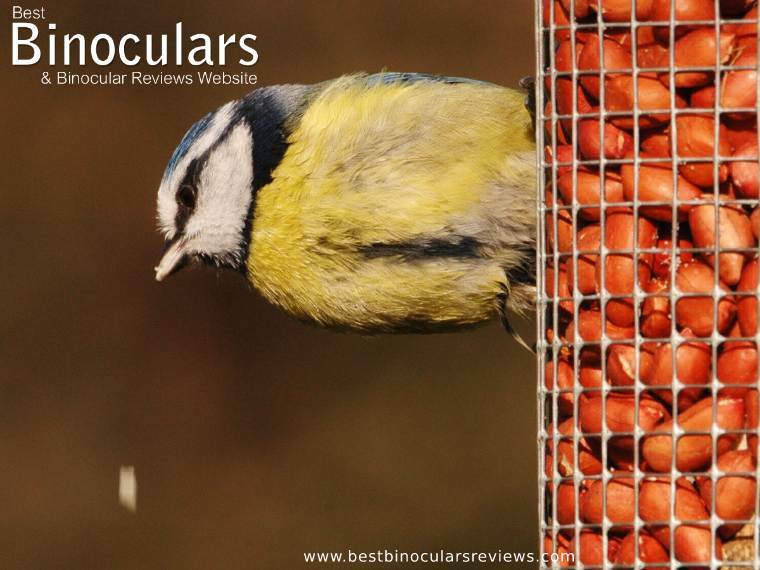 Taking into account the aspects that we have gone over below is a small selection of binoculars that I have reviewed and that I recommend as great choices for the backyard birder.